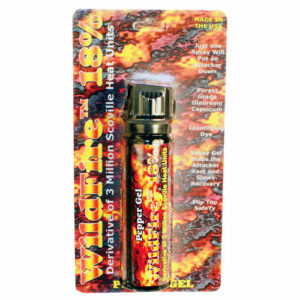 WILDFIRE® 18% PEPPER GEL The Wildfire 18% pepper gel is a sticky pepper spray that comes in 3 convenient sizes. 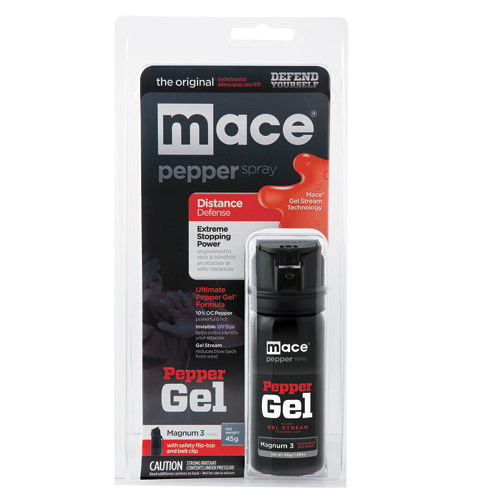 The 2 and 4 oz. 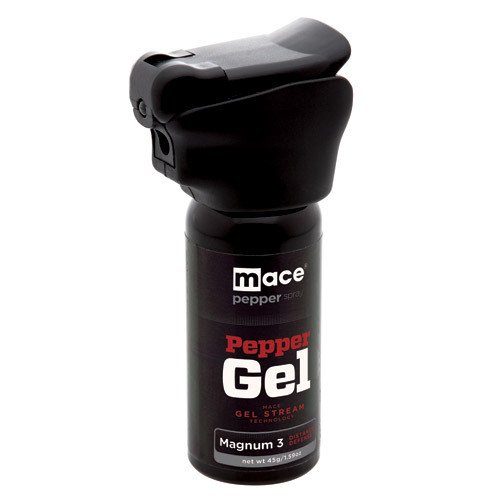 models are easy to conceal and great for personal use and selfdefense. The 9 oz. 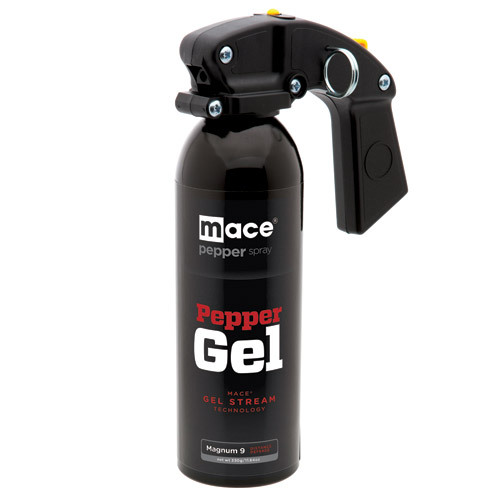 model can be kept at home and has a pistol grip for dead-on aim. 9 oz. 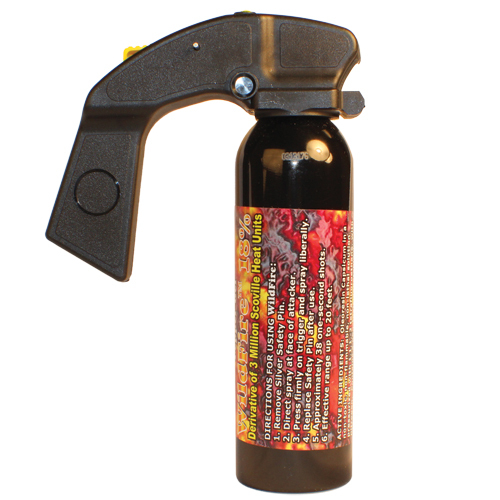 Spray Pistol Grip Contains 20 one second bursts with a range of 15-18 ft.
4 oz. 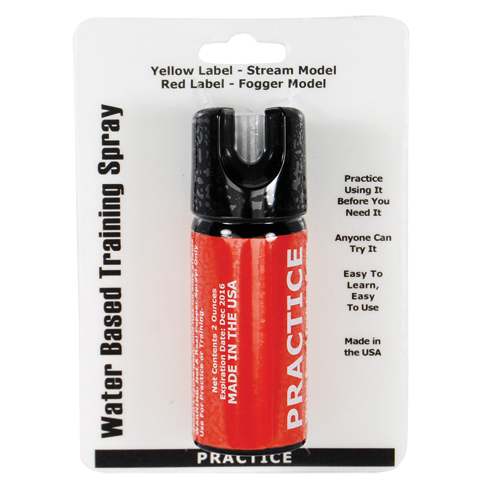 Spray Flip Top Actuator Contains 20 one second bursts with a range of 15-18 ft.
2 oz. 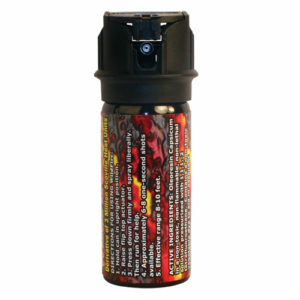 Spray Flip Top Actuator Contains 6-8 one-half second bursts with a range of 10-15 ft.
2 oz., 4 oz., 9 oz.